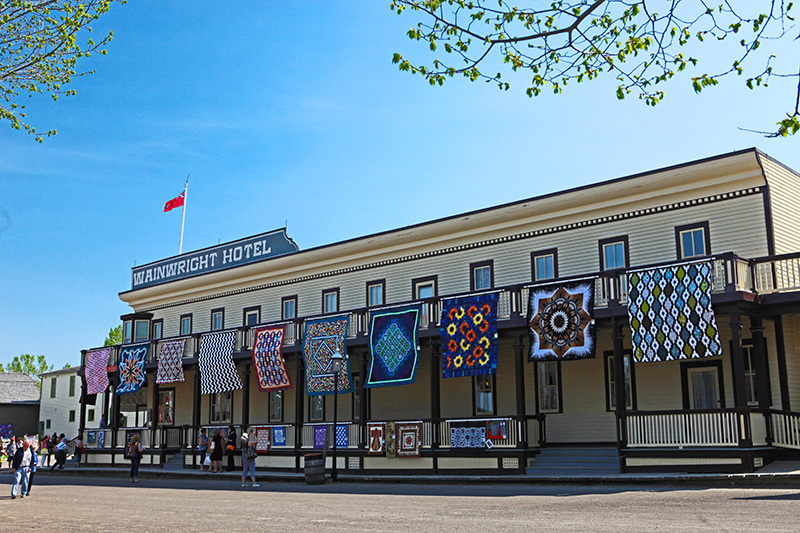 It’s the 24th anniversary of the Festival of Quilts, and we have a lot in store for Western Canada’s largest outdoor quilt show! Hundreds of stunning handmade quilts of all shapes, sizes and techniques will decorate the Park’s exhibits inside and out. 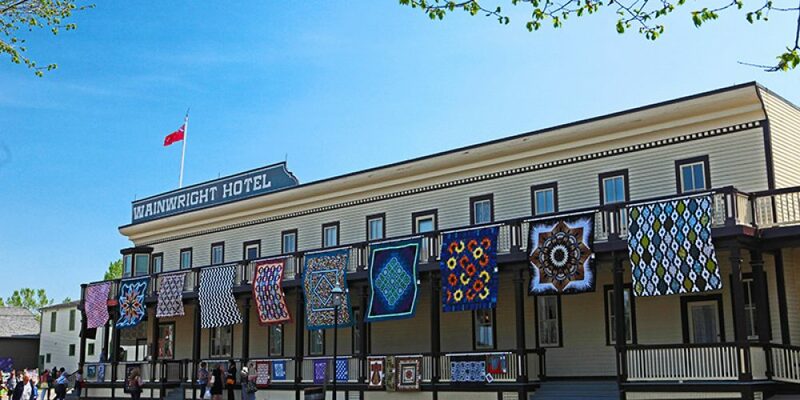 • Wander over to the Merchants’ Mall where a variety of businesses from across western Canada will be offering the ‘latest and greatest’ from the quilting community. • Quilt Community Showcase – Visit with guild members to discover what quilters in Calgary are working on. • Iron Quilt Challenges – Machines and fingers will fly as you come and watch two teams of four square off in the Iron Quilt Challenge! On Saturday, May 25 and Sunday, May 26 from 11 a.m. – 1 p.m., two teams each day will have two hours to complete a small quilt challenge and be awarded prizes. Registration is now closed. To be among the first to hear when registration opens for the 2020 event, please sign up for our newsletter. Join Gyleen Fitzgerald for a series of exciting quilting workshops! Cash Bar 6:00 p.m. | Dinner 7:00 p.m. Enjoy a sumptuous three-course dinner and then relax for an evening of entertainment. Additional ticket for dinner needs to be purchased. While we strive for accuracy for this event’s information, we recommend you follow up with the event’s website to confirm information, dates, location and times in case there are changes.